REBROADCAST: Marius Bota brings the unique spark of ley line energy to life. You can also find all the previously created artworks on the Guild Wars 2 Art Show Flickr Album. 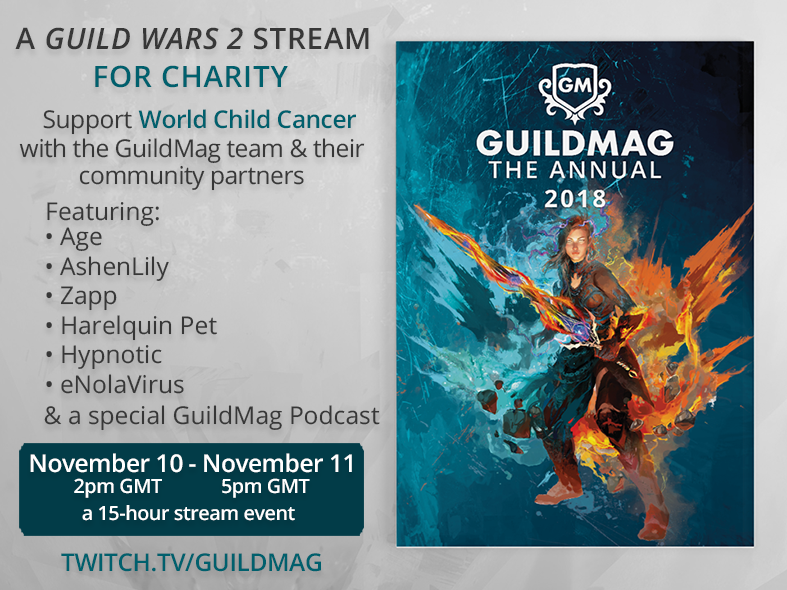 GuildMag is supporting World Child Cancer in their 2018 charity stream. New domain name is live!